New setup done, with 3 growth bed. These Fern will need to be transplanted to the new bed. I am reluctant to move them, because they've just recover and doing fine. Well it need to be done. Those Fern are starting to do well. Above one of the Fern, showing the roots. 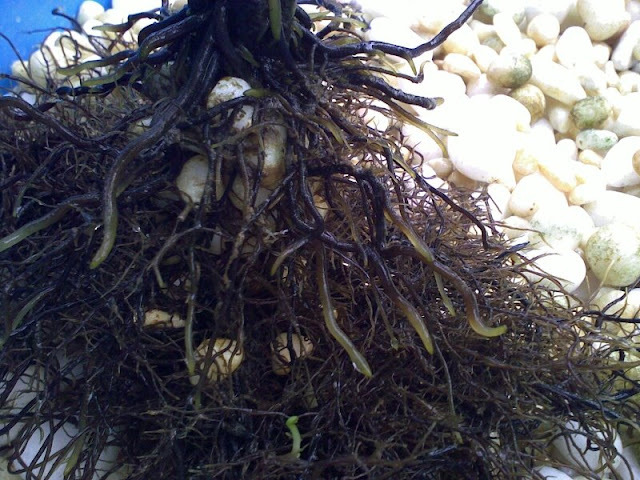 It have small hair like root, it was not like this when I planted it. This is sign of good growth. 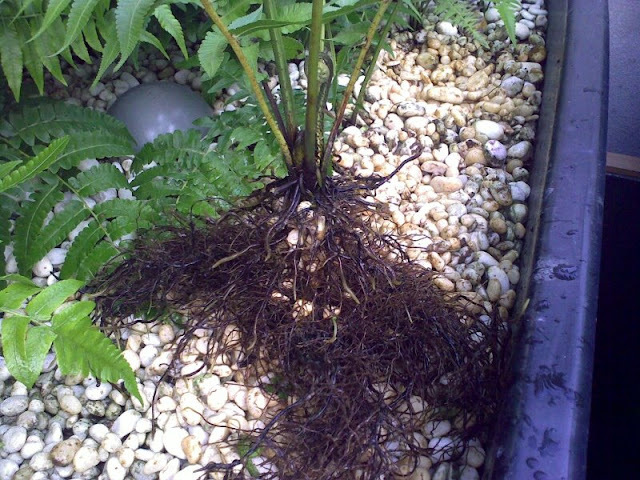 Close up photo of the root, there are sign of new Fern coming out from the roots. 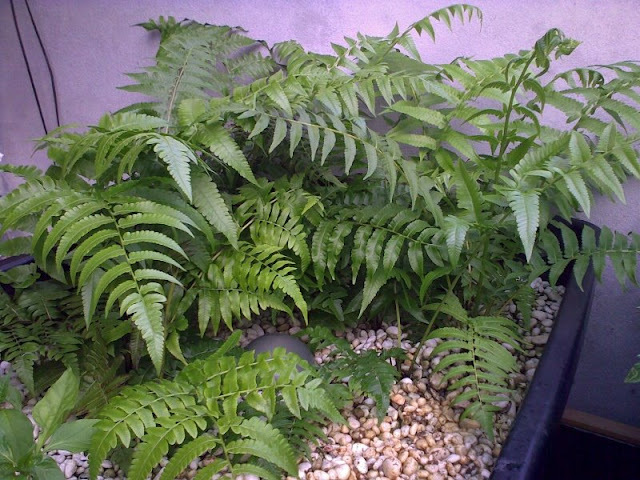 That also a good sign, looks like Ferns are good choice for Aquaponics. 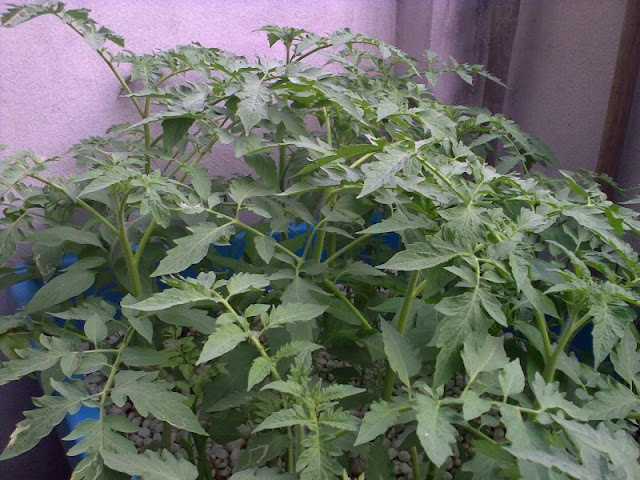 BTW the Tomatoes, also need relocating, they are too close together. The tallest is about 2 ft tall. I've move them to new grow bed, its not matured yet so I am worried that all the plants will not do well once on the new bed.